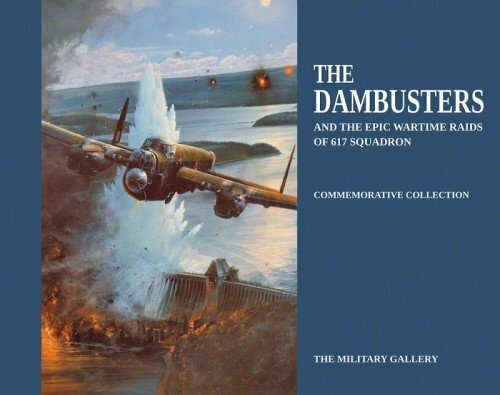 This prestigious limited edition portfolio, issued as a lasting tribute to the Dambusters and the men of 617 Squadron, includes an individually numbered copy of the book THE DAMBUSTERS. Presented in its own luxury embossed slipcase, each book is accompanied by a matching-numbered copy of Anthony Saunders’ dramatic limited edition print COUP DE GRÂCE – THE MÖHNE DAM. 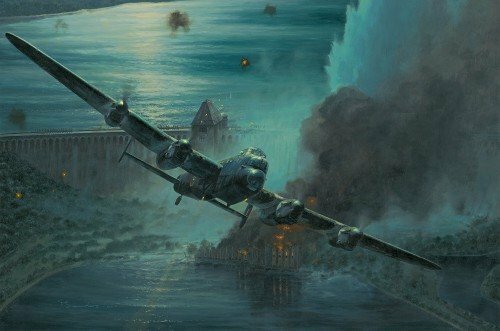 Each bookplate is also signed by ‘Johnny’ Johnson.